Forget Hermès bands. Let's think bigger. The Apple Watch started shipping almost one year ago. I still wear mine almost daily—after breaking it and going through a lengthy and arduous repair process—and find it incredibly useful. Is it essential for daily life? Of course not. Chances are you already own an iPhone, which has many of the same features. But you can’t wear an iPhone on your wrist, and that’s why the Apple Watch will become a key component in Apple’s product lineup—even if it doesn’t seem like it yet. 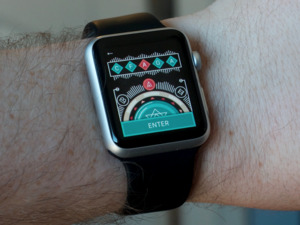 The Apple Watch’s “killer app” could be health. 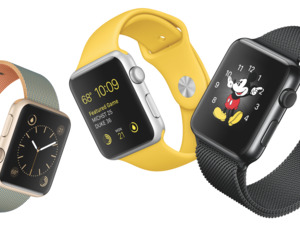 The Apple Watch doesn’t have a “killer app,” critics say. Seeing notifications on your wrist is nice, and possibly less rude than checking your iPhone every time it vibrates, but is that really worth $300 (or more)? For many, probably not. That could be why Apple hasn’t sold many watches compared to iPhones. The company doesn’t break out Apple Watch sales in its quarterly earnings reports, but KGI analyst Ming-Chi Kuo pegged 2015 watch shipments at 10.6 million and estimates just 7.5 million watches will ship this year. Shipments don’t equal sales, but Fluent, a customer acquisition company, recently surveyed 2,578 randomly selected Americans and found that just 197 of them, or 8 percent, owned an Apple Watch. These data points are useful, though not exactly scientific. Fluent’s sample size isn’t very big, but the survey found that 56 percent of Apple Watch owners use the device for health and fitness monitoring more than any other feature. This might seem obvious, because fitness bands are huge right now and Apple has highlighted the watch’s activity-tracking features in ad campaigns. But the Apple Watch has the potential to do so much more than just nudge you to stand and count your steps. Once that potential is realized, the Apple Watch will be a must-buy. The Apple Watch has a heart rate sensor that measures your heart rate continuously when you start an exercise in the watch Workout app, or every 10 minutes otherwise. There are well-documented instances of the Apple Watch saving lives with its heart rate data. The watch also prompts you to stand every hour, because according to the latest research, sitting all day will kill you. The rollout of watchOS 2 last September allowed third-party app developers to run natively on the watch, which means the exercise apps you’re already using on your phone can tap into the sensors on your watch. That’s all great. The Apple Watch band could one day be smart. But the Apple Watch could do so much more. Imagine if the watch had skin-capacitive sensors that could detect cortisol levels in your sweat, or a sensor that could track blood flow beneath your skin. Over the last year, Apple has focused on personalizing the device with interchangeable bands, including high-end options from Hermès. Those bands, which take up more of your wrist than the watch case itself, look great, but imagine if they were smart. Apple recently filed a patent application for smart watch bands with modular pieces. The patent covers a band that has multiple links, each with an electrical component. Those components could include an actuator, an electricity generator, a photovoltaic cell, a speedometer, GPS, a thermometer, a blood pressure sensor, a sweat sensor, a magnetic field sensor, a speaker, a force sensor, and more, according to Apple’s filing on March 31. Can you imagine? I want all of those options right now. Apple patents all kinds of technologies that have yet to make it into actual devices, but the application proves the company is considering the ways in which the watch could be the ultimate health device. The watch band, which has until now been positioned as a fashion accessory, could play a huge role in that effort. 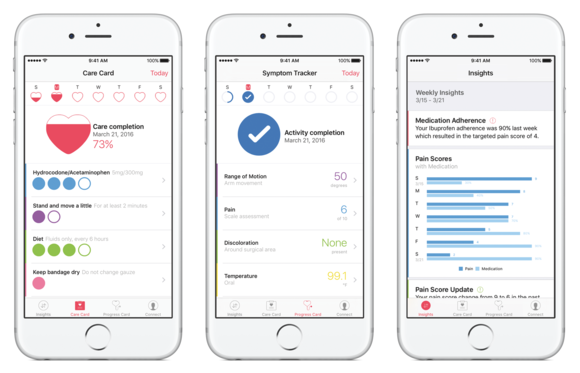 CareKit turns your iPhone into a doctor. It could do the same for your watch. The Apple Watch is also the perfect device to unite Apple’s trio of health initiatives: HealthKit, ResearchKit, and CareKit. 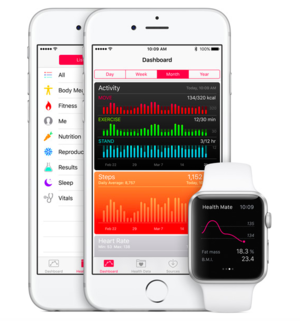 HealthKit puts all of the health data your iPhone and various third-party health apps collect into one centralized place, the iOS Health app. ResearchKit opened up your iPhone and Apple Watch to medical researchers, who can use the devices to study you (if you let them). 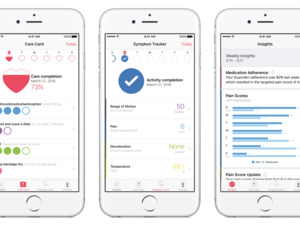 And Apple’s recently launched CareKit is still in early days—those apps haven’t yet hit the App Store—but will soon allow doctors and hospitals to help you manage your health at home. Those developer frameworks are tied to the iPhone, but there’s no reason they can’t make use of the Apple Watch. Some already do: The EpiWatch app from Johns Hopkins researchers uses the watch’s sensors to monitor epilepsy patients, while the American Sleep Apnea Association’s SleepHealth app analyzes your sleeping patterns from watch sensor data. 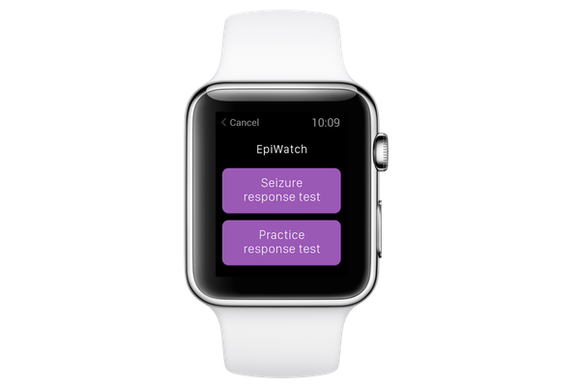 Epilepsy-monitoring app EpiWatch was the first ResearchKit app for the watch. With access to the watch’s heart rate sensor, accelerometer, and gyroscope, researchers, doctors, family members, and watch wearers can already see tons of data. If Apple puts more sensors into the watch or watch band, that opens up a world of information that’s not just viewable, but actionable. if your watch strap has a blood pressure sensor that gives you readings on your wrist, it can warn you when readings are high or low enough to require medical intervention. That’s just one possibility. The options are endless. Millions of Americans avoid going to the doctor until they absolutely have to. The watch could be a preventative health device, nudging you to seek medical attention when your heart rate is irregular or when the cortisol levels in your sweat are abnormal. With CareKit apps, you’ll be able to immediately share that data with a doctor. Health insurance companies and the employers who pay them will love this. There are many, many steps for Apple to take between selling the Apple Watch of today and building the game-changing device I predict it could be in the future. Beyond just the technical feasibility of putting those advanced functionalities into the watch, Apple can’t market it as a medical device without approval from regulators. Maybe I’m being overly optimistic about the Apple Watch’s potential. Plenty of people seem satisfied with the watch as it is right now. The device has scored high in customer satisfaction surveys, including the latest one from Fluent. But Apple is nothing if not a company with big ideas and the attention to detail required to pull them off—not to mention the commitment to privacy necessary to keep medical data secure. I think it has grander ambitions for the watch. For now, no one needs an Apple Watch. I use mine to send and receive texts, track my workouts, and tap Macworld Executive Editor Susie Ochs on the wrist when I think she’s ignoring my Slack messages. Are those essential to my happiness? Of course not. 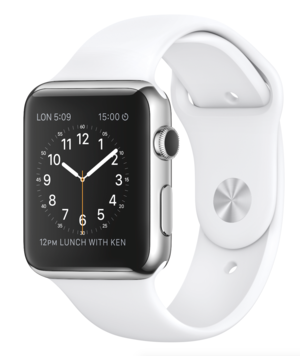 But Apple could turn the watch into a must-have health device, not just a fashion-forward tech accessory. The company’s “most personal device ever” could eventually help you a live a better life. That will justify its existence.